Ascension Software uses its Atlas software to support employees. (PRLEAP.COM) September 29, 2015 - Ascension Software's Human Resources department is run by an incredibly resourceful, passionate woman. So it's no surprise that Ascension's HR department has just released its very own version of Atlas to support internal teams and give all employees access to crucial company materials in one place. 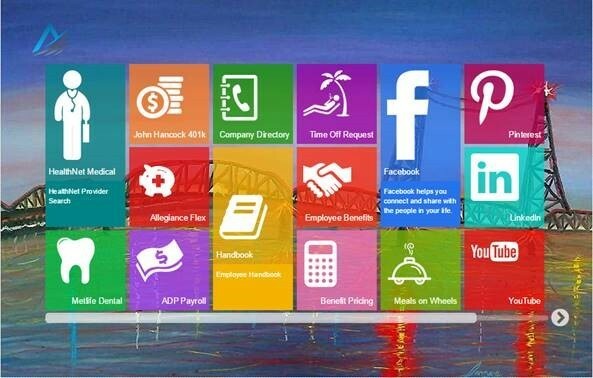 Now, Ascension Software employees can view all HR content on their smartphones, tablets and PCs anytime, anywhere. Company party on the horizon…? Atlas can alert employees to the event, provide an RSVP form, and track who has viewed the event info. New employee to on board…? Atlas will cover all the HR bases without taking valuable time away from the HR department. What's more, HR departments can track what content has been viewed, who viewed it, provide internal forums, videos, forms, calendars, and so much more. The flexible Atlas presentation platform also allows for the admin account holder (in this case, Ascension Software's HR dept.) to make changes and upload new content in real-time. Newbie team member to bring up to speed…? No problem. Everything that needs to be covered can be covered in detail with Atlas. But the most valuable aspect of Atlas for upper management is centered around the ability to view up-to-date analytics. Managers can discover when team members have viewed information, what they've viewed, and the length of time they viewed the information. This immediately accessible trackability empowers teams to succeed by providing much needed, verifiable accountability. Check out Ascension Software's Human Resources template via Atlas.